There's no better natural remedy for removing product build-up on hair and the scalp than apple cider vinegar. This apple cider vinegar hair rinse recipe not only cleanses the scalp, but it helps with dandruff problems, as well. 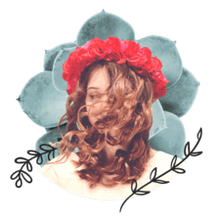 I've become a natural beauty product junkie when it comes to my skin and my hair. I just don't feel comfortable putting anything with bad chemicals on my face and scalp. When I heard about the apple cider vinegar rinse recipe below from my crunchy friend Martha, I tried it myself. My hair was shinier than ever and surprise, surprise, didn't smell like vinegar. 1 cup apple cider vinegar (you can substitute distilled white vinegar or lemon juice for this rinse). Mix one cup of apple cider vinegar and 2 cups of water in a spray bottle. Spray on hair after you shampoo and condition. Rinse thoroughly. Do not use more than once or twice a week and do not use on colored hair. You can use mix a tablespoon in your shampoo, as suggested by New York City hairstylist Ted Gibson. You can use the recipe below, which has you put the mixture in a water bottle and spritz it on your ends and your scalp to remove product build-up. While you can dump a cup of the vinegar on your head and massage it in once a week or so, my research shows it is better to cut the vinegar with water. Putting the mixture in a spray bottle allows you to better control over where the product hits. Important note: I cannot recommend this rinse for colored hair. My research suggests the acid can strip away your pricey investment. Full disclosure, because I get my hair colored professionally colored, I no longer use this rinse. But Martha doesn't color her hair and swears by the recipe below, which she uses once a week. The acetic acid in the vinegar helps wash away product residue on the scalp and hair, leaving hair shiny. Martha reports she used to have to wash her oily hair daily but now can go several days between shampoos. You can either shampoo and condition first and then treat your hair, OR you can start with the treatment. I prefer to shampoo after because I don't like my hair smelling like vinegar. Rinse hair thoroughly in the shower. Turn off the water and spritz the vinegar and water concoction on your part and then your crown. Allow for heavy coverage. Pull sections of hair up and spritz the scalp. Continue until the entire scalp is drenched. Massage the vinegar concoction into your scalp using the pads of your fingers, never your nails. Your nails can tear at the scalp. Let the vinegar wash over your hair as well. I find that if you focus on directing the product on your scalp and crown, it will naturally make its way down your hair. Rinse the vinegar out thoroughly. Follow with shampoo and conditioner. Not only does apple cider vinegar get rid of residue, it's also a natural dandruff fighter. Acetic acid is also antimicrobial and can kill some forms of bacteria, making it good for treating dandruff. Only use raw, unfiltered apple cider vinegar. 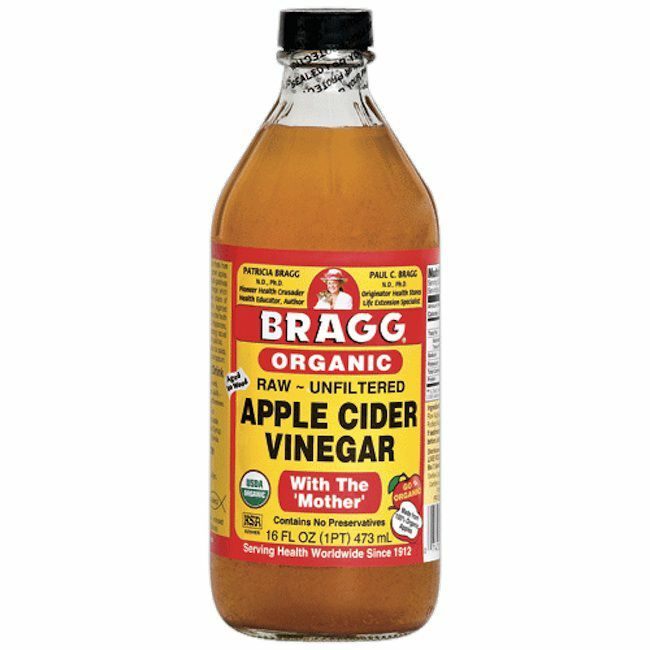 A readily available and quality vinegar is made by Bragg's. You can find it in most grocery stores or skip the trip and buy it from Amazon.com. Bonus: You can also use the vinegar as a face toner and to clean your makeup brushes.